As an alternative to Speaker Moore’s statewide bond for school construction (not yet filed), the State Senate unveiled SB5, Building North Carolina’s Future. SB5 provides a “pay as you go” method for funding public school construction. It allows local school administrative units (commonly referred to as LEAs) and community colleges to access funding from the State Capital and Infrastructure Fund (SCIF) that was created in 2017 (G.S. 143C-4-3.1). Public schools will receive one-third of SCIF funds, an amount bill sponsors anticipate being around $2 billion over 9 years. The Department of Public Instruction will be responsible for distributing funds for capital projects and repair and renovation projects to “applicants that demonstrate the greatest need”. Applicants that have not received a grant from the Needs-Based Public School Capital Fund in the previous five years shall receive a higher priority for funding. If a school district is not in compliance with K-3 class size requirements, then any grant money received must first be used to obtain class size compliance. Money from the fund cannot be used to retire existing debt obligations. It can be used for school safety enhancements. To learn more about the four-page bill click here. See the chart below for a comparison of Senate Bill 5, a pay-as-you-go model, versus Speaker Moore’s proposed bond bill. Project Type New construction and Repairs & Renovations (R&R) ? K-3 Class Size Compliance If LEA is not class size compliant, capital funds are restricted to capital expenditures to make LEA compliant with class size requirements ? School Safety Enhancements Eligible for R&R funding ? Two local House bills providing complete school calendar flexibility were introduced within the first few hours of the 2019 long session. NCSBA is creating a spreadsheet to track school calendar bills that will shared each week. Thank you to the thirty-eight school boards and eleven county commissions that have shared with NCSBA their adopted resolutions in support of school calendar flexibility (Burke and Camden approved a joint resolution). NCSBA plans to support a bill that will likely be filed this session concerning the authority of local school boards to decide which public schools will be used as voting sites. A draft bill reportedly focuses on ensuring the safety of students when schools are being used as polling places. Current state law allows local election boards to mandate the use of public-school buildings as voting precincts. If passed, this new law would permit a local school board to reject the local election board’s request until the school board can create a school-specific safety plan that both boards agree on. This article written by Richard Craver of the Winston-Salem Journal discusses the possible changes and varying perspectives of the potential bill. 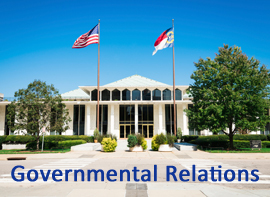 The NCSBA Governmental Relations staff is writing issue briefs for each topic in the 2019-20 Legislative Agenda. They can be accessed on the NCSBA website under the Governmental Relations tab or by clicking this link. Thirteen of the seventeen issue briefs are complete and accessible.